Whether creating a painting on canvas, a print on paper, or a functional decorative arts object, American artists chronicle some of the accomplishments, hopes, and struggles of Americans throughout this country’s history. 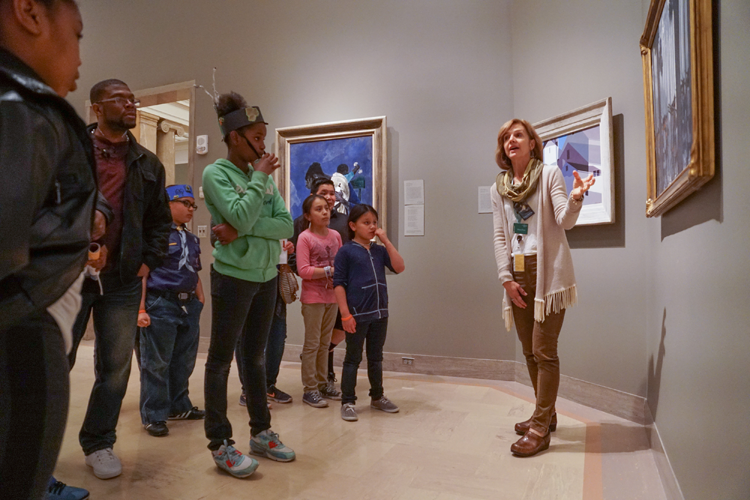 On this tour, reflect on American Art from the 1700s to the mid-20th century: look together with a group, share your ideas and observations, and learn stories about some of the most beloved objects in the American Art Collection. Please enter a value greater than or equal to 6. Important: Due to scheduling constraints, you must select three different dates for your tour, and at least three weeks advanced notice is required. This form will not submit correctly without all fields completed. Click here to stay up-to-date!